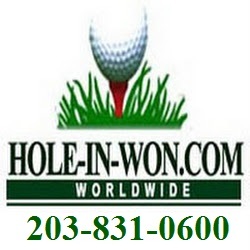 Please contact Hole-In-Won.com and mention Helicopter Golf Drop BALL DROP PREFERRED PRICING. Whether you are AWARE or NOT, that a Hole-In-One Prize for a Helicopter Golf Drop BALL DROP for CASH! CARS! TRIPS! or Any Prize IMAGINABLE! . . . WAS and IS AVAILABLE . . .
PLUS ALL the extra awareness for your Helicopter Golf Drop Ball Drop event and outing will be unmatched. We have provided Large Cash $$ Prize insurance at Helicopter Golf Drop BALL DROPS such as: The Calhoun-Gordon Community Foundation, Calhoun GEORGIA, which raises 1000â€™s of dollars every year! WE CREATED and OFFER INSURED PRIZES for THEM ALL! . . . We therefore have . . . varieties of Helicopter Golf Drop BALL DROP and CRANE DROP contests to fit every style of event, budget or any request! or HEARD ABOUT US! as we have insured Helicopter Golf Drop Ball Drop and Golf Events. Over 25 YEARS of PROFESSIONAL SERVICE at thousands of regular golf events, from your hometown, to the PGA Tour and WorldWide . . . So, Check Us out, Our Winners, Our Testimonials, at - www.hole-in-WON.com - The Home of Hole-In-One Insurance, and Now, Helicopter Golf Drop BALL DROP Insurance. IF YOU HAVE a SPONSOR or CLIENT THAT IS INTERESTED in a Helicopter Golf Drop Golf Hole BALL DROP PRIZE EVENTS. Such as a car dealer, corporate sponsor, associate or friend . . . KINDLY PASS THIS ALONG. We'll work with them to save time and $$. Creating a unique package, to make the event stand out!! Hole-In-Won.com is the # 1 Golf Helicopter Golf Drop Ball drop company in the USA. Charity Benefits and All Outing Preferred Pricing.